Wishing all my readers a very Happy and Prosperous Diwali ! Have not been keeping well with my health, and that reflected pretty much on my blog right here ! 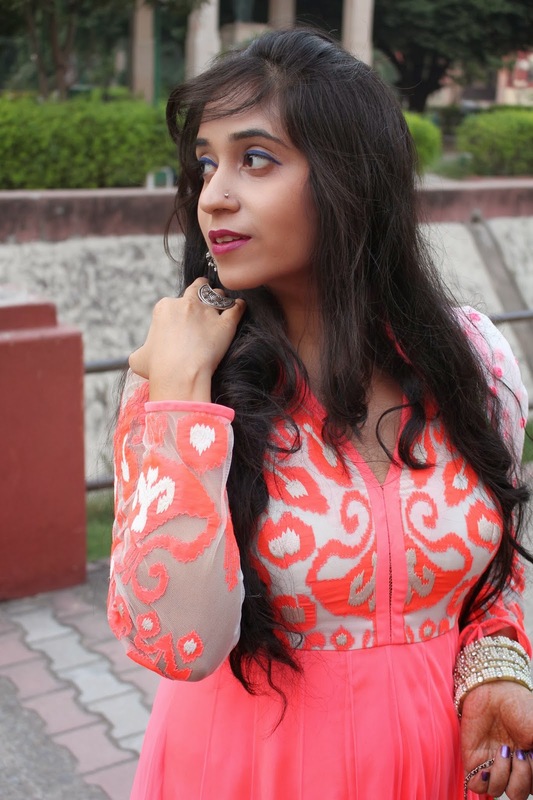 I was finding it difficult to pace up with blog and festivities ,hence things took a back seat ! Its Diwali, and dare not miss posting and wishing everyone good luck ! Hope you all have a fabulous and safe Deepawali . 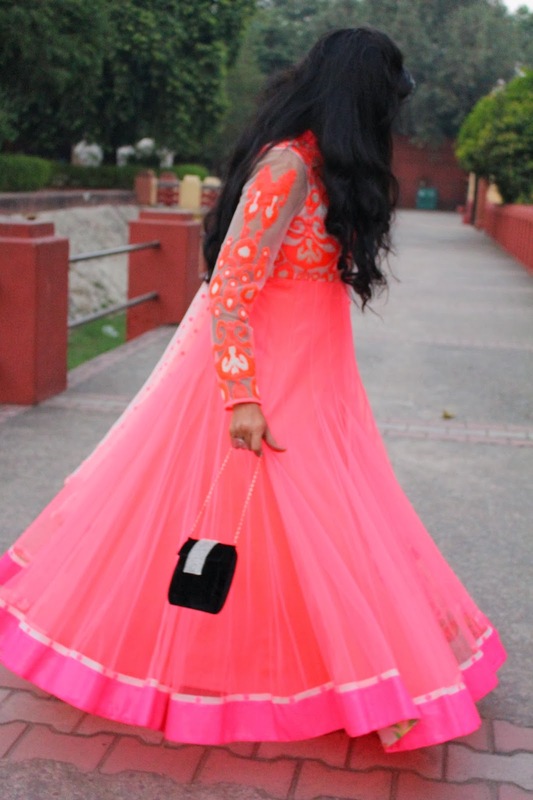 This is what I wore today .Picked up this beautiful Neon pink Anarkali Suit, with sequin border from SBJ and kept rest of the look simple. Have been trying no heat curls lately(no tools), and managed some good overnight curls to flaunt today. I will try and do a tutorial soon on that . Till then , stay stylish and eat loads of sweets from my side ! Wow you look absolutely stunning!!! You look so beautiful! Amazing colors! 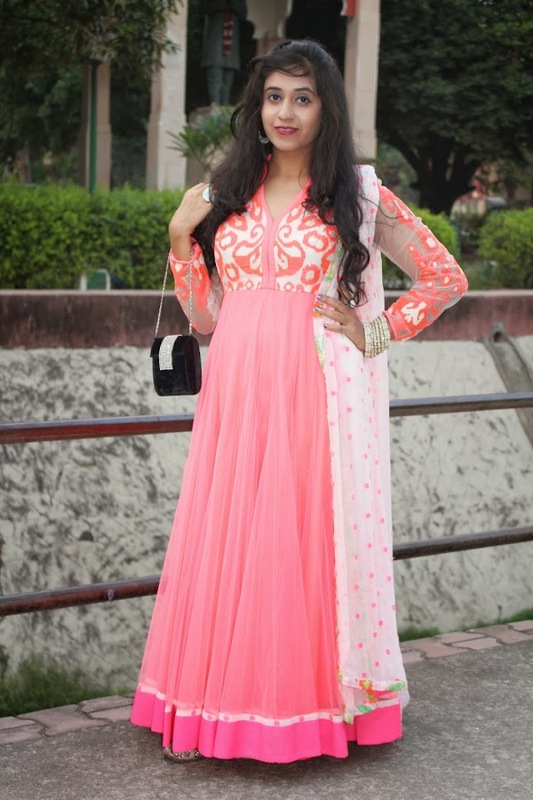 really cute..it's a fantastic ethnic dress..i love these colors..you look amazing..
That looks really nice. Perfect color. so gorgeous dress, you look amazing! You look incredible! And Happy Diwali :) I really enjoy your blog so far and would love to follow each other--please join my GFC and I'll follow you right back! May God bless you and your family!!! Wow you look stunning !!!! Wow so lovely. I like your dress. It's a dream. Your style is very cool. Thanks to your visit. If you came back again don't insert your links, because my blog can blocked with the link. If you came back to my blog, I came back from your. There is no need of links. Woaw what a gorgeous dress! What's your heritage? you look amazing with this color, nice outfit! Love ur dress..n u look soooo beautiful. Wow you look beautiful!!!!!!!! I love that color on you! I absolutely love your blog..would you like to follow each other via GFC, Bloglovin', and facebook? Let me know, and I'll follow right back! would u like follow each other via GFC? Let me know! yep this diwali has been bit of a dwoner as far as health is concerned for me too!! 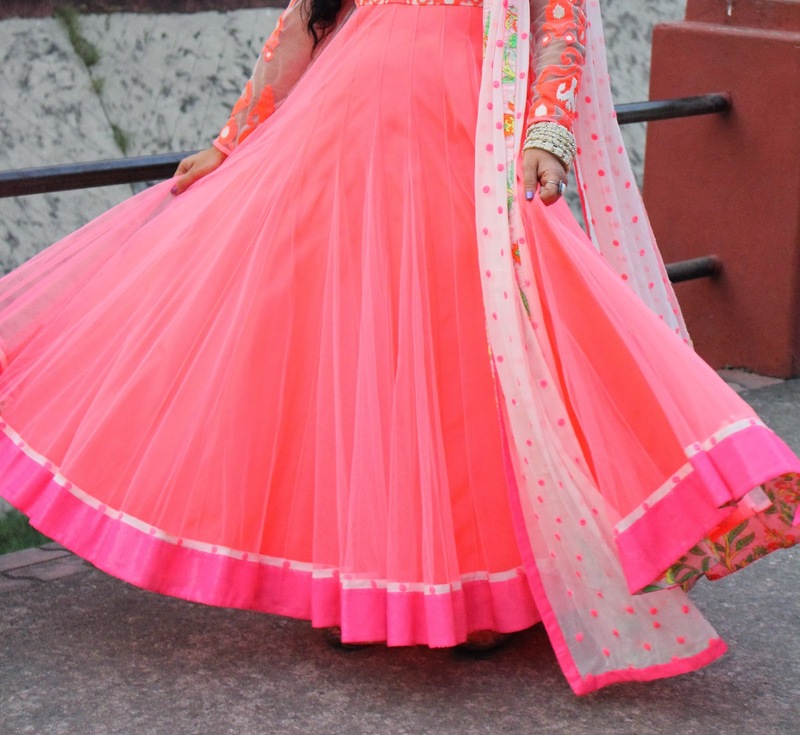 Im liking the soft pink color of the anarkali...but what am really loving is the ring!!! You look adorable in this pink dress! I love how you look! Beautiful! You look great. I really like the color of this dress. woww you look absolutely beautiful:) love the colors! 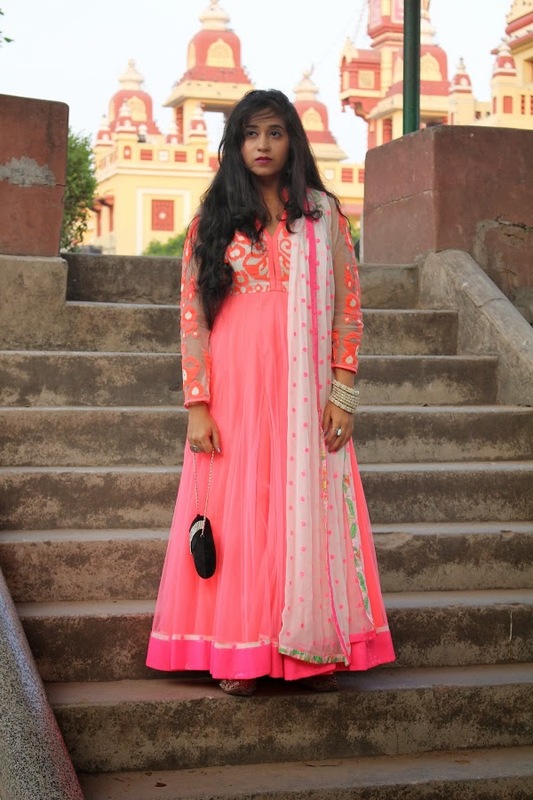 really like to see others wearing their traditional gowns:) it's so interesting to see! of course, I want follow each other ! :) I`ve already started :) Now your turn ! Amazing outfit and you look stunning in it. Wow, I always love your Indian dresses best! SO beautiful! Cool blog :))) Would you like to follow each other via GFC/FB? Let us know! SO cool. Such great pictures. Beautiful dress! 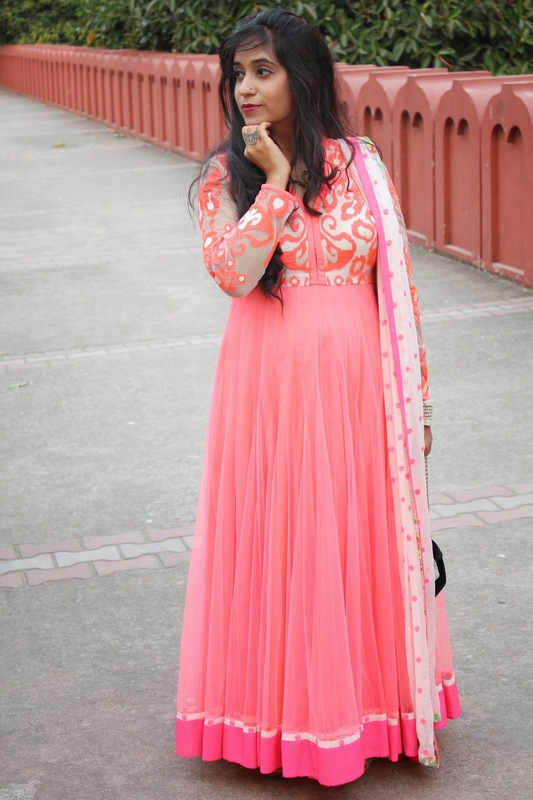 looking good in that designer anarkali suits ! !